This piece of fiction, penned by acclaimed writer, Chimamanda Ngozi Adichie, was originally published on The New Yorker. A friend of mine read it and passed me the link with a scoffing “The main character, that Okenwa person, as a kid – he was so gay.” So, I read it. But I quite disagreed with my friend. In my opinion, the choices Okenwa made as a child may or may not have been driven by an unrecognized homosexuality. But hey, if you haven’t already read it, here it is. Read and let us know your thoughts. Fifteen years earlier, my parents would have scoffed at these stories. My mother, a professor of political science, would have said “Nonsense” in her crisp manner, and my father, a professor of education, would merely have snorted, the stories not worth the effort of speech. It puzzled me that they had shed those old selves, and become the kind of Nigerians who told anecdotes about diabetes cured by drinking holy water. Still, I humored them and half listened to their stories. It was a kind of innocence, this new childhood of old age. They had grown slower with the passing years, and their faces lit up at the sight of me and even their prying questions—“When will you give us a grandchild? When will you bring a girl to introduce to us?”—no longer made me as tense as before. Each time I drove away, on Sunday afternoons after a big lunch of rice and stew, I wondered if it would be the last time I would see them both alive, if before my next visit I would receive a phone call from one of them telling me to come right away. The thought filled me with a nostalgic sadness that stayed with me until I got back to Port Harcourt. And yet I knew that if I had a family, if I could complain about rising school fees as the children of their friends did, then I would not visit them so regularly. I would have nothing for which to make amends. During a visit in November, my parents talked about the increase in armed robberies all over the east. Thieves, too, had to prepare for Christmas. My mother told me how a vigilante mob in Onitsha had caught some thieves, beaten them, and torn off their clothes—how old tires had been thrown over their heads like necklaces, amid shouts for petrol and matches, before the police arrived, fired shots in the air to disperse the crowd, and took the robbers away. My mother paused, and I waited for a supernatural detail that would embellish the story. Perhaps, just as they arrived at the police station, the thieves had turned into vultures and flown away. My mind had been submerged in the foggy lull of my parents’ storytelling, and I struggled now with the sharp awakening of memory. But I remembered. Of course I remembered Raphael. Nothing changed when Raphael came to live with us, not at first. He seemed like all the others, an ordinary-looking teen from a nearby village. The houseboy before him, Hyginus, had been sent home for insulting my mother. Before Hyginus was John, whom I remembered because he had not been sent away; he had broken a plate while washing it and, fearing my mother’s anger, had packed his things and fled before she came home from work. All the houseboys treated me with the contemptuous care of people who disliked my mother. Please come and eat your food, they would say—I don’t want trouble from Madam. My mother regularly shouted at them, for being slow, stupid, hard of hearing; even her bell-ringing, her thumb resting on the red knob, the shrillness searing through the house, sounded like shouting. How difficult could it be to remember to fry the eggs differently, my father’s plain and hers with onions, or to put the Russian dolls back on the same shelf after dusting, or to iron my school uniform properly? I was my parents’ only child, born late in their lives. “When I got pregnant, I thought it was menopause,” my mother told me once. I must have been around eight years old, and did not know what “menopause” meant. She had a brusque manner, as did my father; they had about them the air of people who were quick to dismiss others. They had met at the University of Ibadan, married against their families’ wishes—his thought her too educated, while hers preferred a wealthier suitor—and spent their lives in an intense and intimate competition over who published more, who won at badminton, who had the last word in an argument. They often read aloud to each other in the evening, from journals or newspapers, standing rather than sitting in the parlor, sometimes pacing, as though about to spring at a new idea. They drank Mateus rosé—that dark, shapely bottle always seemed to be resting on a table near them—and left behind glasses faint with reddish dregs. Throughout my childhood, I worried about not being quick enough to respond when they spoke to me. I worried, too, that I did not care for books. Reading did not do to me what it did to my parents, agitating them or turning them into vague beings lost to time, who did not quite notice when I came and went. I read books only enough to satisfy them, and to answer the kinds of unexpected questions that might come in the middle of a meal—What did I think of Pip? Had Ezeulu done the right thing? I sometimes felt like an interloper in our house. My bedroom had bookshelves, stacked with the overflow books that did not fit in the study and the corridor, and they made my stay feel transient, as though I were not quite where I was supposed to be. I sensed my parents’ disappointment in the way they glanced at each other when I spoke about a book, and I knew that what I had said was not incorrect but merely ordinary, uncharged with their brand of originality. Going to the staff club with them was an ordeal: I found badminton boring, the shuttlecock seemed to me an unfinished thing, as though whoever had invented the game had stopped halfway. He pivoted slightly, leaped up, and kicked, his leg straight and high, his body all taut grace. I was twelve years old and had, until then, never felt that I recognized myself in another person. On weekends, if my parents went to the staff club without me, Raphael and I watched Bruce Lee videotapes, Raphael saying, “Watch it! Watch it!” Through his eyes, I saw the films anew; some moves that I had thought merely competent became luminous when he said, “Watch it!” Raphael knew what really mattered; his wisdom lay easy on his skin. He rewound the sections in which Bruce Lee used a nunchaku, and watched unblinking, gasping at the clean aggression of the metal-and-wood weapon. “I wish I had a nunchaku,” I said. “It is very difficult to use,” Raphael said firmly, and I felt almost sorry to have wanted one. At school, I sat through classes thinking of the wood’s smoothness in the palm of my hand. It was after school, with Raphael, that my real life began. My parents did not notice how close Raphael and I had become. All they saw was that I now happened to play outside, and Raphael was, of course, part of the landscape of outside: weeding the garden, washing pots at the water tank. One afternoon, Raphael finished plucking a chicken and interrupted my solo practice on the lawn. “Fight!” he said. A duel began, his hands bare, mine swinging my new weapon. He pushed me hard. One end hit him on the arm, and he looked surprised and then impressed, as if he had not thought me capable. I swung again and again. He feinted and dodged and kicked. Time collapsed. In the end, we were both panting and laughing. I remember, even now, very clearly, the smallness of his shorts that afternoon, and how the muscles ran wiry like ropes down his legs. On weekends, I ate lunch with my parents. I always ate quickly, dreaming of escape and hoping that they would not turn to me with one of their test questions. At one lunch, Raphael served white disks of boiled yam on a bed of greens, and then cubed pawpaw and pineapple. It took me a moment to realize that this was not her usual figurative lambasting—“What is that big object blocking your nose?” she would ask, if she noticed a smell in the kitchen that he had not. The whites of Raphael’s eyes were red. A painful, unnatural red. He mumbled that an insect had flown into them. “It looks like Apollo,” my father said. Raphael hesitated, as though wanting to finish clearing the plates. “It’s an infection of your conjunctiva, the thing that covers your eyes,” she said. In the midst of her Igbo words, “conjunctiva” sounded sharp and dangerous. “We’re going to buy medicine for you. Use it three times a day and stay in your room. Don’t cook until it clears.” Turning to me, she said, “Okenwa, make sure you don’t go near him. Apollo is very infectious.” From her perfunctory tone, it was clear that she did not imagine I would have any reason to go near Raphael. Later, my parents drove to the pharmacy in town and came back with a bottle of eye drops, which my father took to Raphael’s room in the boys’ quarters, at the back of the house, with the air of someone going reluctantly into battle. That evening, I went with my parents to Obollo Road to buy akara for dinner; when we returned, it felt strange not to have Raphael open the front door, not to find him closing the living-room curtains and turning on the lights. In the quiet kitchen, our house seemed emptied of life. As soon as my parents were immersed in themselves, I went out to the boys’ quarters and knocked on Raphael’s door. It was ajar. He was lying on his back, his narrow bed pushed against the wall, and turned when I came in, surprised, making as if to get up. I had never been in his room before. The exposed light bulb dangling from the ceiling cast sombre shadows. He shrugged and said nothing. The bottle of eye drops sat unopened on the table. “You haven’t used them at all?” I asked. Raphael, who could disembowel a turkey and lift a full bag of rice, could not drip liquid medicine into his eyes. At first, I was astonished, then amused, and then moved. I looked around his room and was struck by how bare it was—the bed pushed against the wall, a spindly table, a gray metal box in the corner, which I assumed contained all that he owned. “I will put the drops in for you,” I said. I took the bottle and twisted off the cap. “Don’t come close,” he said again. I was already close. I bent over him. He began a frantic blinking. “Breathe like in kung fu,” I said. I touched his face, gently pulled down his lower left eyelid, and dropped the liquid into his eye. The other lid I pulled more firmly, because he had shut his eyes tight. He opened his eyes and looked at me, and on his face shone something wondrous. I had never felt myself the subject of admiration. It made me think of science class, of a new maize shoot growing greenly toward light. He touched my arm. I turned to go. “I’ll come before I go to school,” I said. In the morning, I slipped into his room, put in his eye drops, and slipped out and into my father’s car, to be dropped off at school. By the third day, Raphael’s room felt familiar to me, welcoming, uncluttered by objects. As I put in the drops, I discovered things about him that I guarded closely: the early darkening of hair above his upper lip, the ringworm patch in the hollow between his jaw and his neck. I sat on the edge of his bed and we talked about “Snake in the Monkey’s Shadow.” We had discussed the film many times, and we said things that we had said before, but in the quiet of his room they felt like secrets. Our voices were low, almost hushed. His body’s warmth cast warmth over me. He got up to demonstrate the snake style, and afterward, both of us laughing, he grasped my hand in his. Then he let go and moved slightly away from me. “This Apollo has gone,” he said. His eyes were clear. I wished he had not healed so quickly. I dreamed of being with Raphael and Bruce Lee in an open field, practicing for a fight. When I woke up, my eyes refused to open. I pried my lids apart. My eyes burned and itched. Each time I blinked, they seemed to produce more pale ugly fluid that coated my lashes. It felt as if heated grains of sand were under my eyelids. I feared that something inside me was thawing that was not supposed to thaw. My mother shouted at Raphael, “Why did you bring this thing to my house? Why?” It was as though by catching Apollo he had conspired to infect her son. Raphael did not respond. He never did when she shouted at him. She was standing at the top of the stairs, and Raphael was below her. “How did he manage to give you Apollo from his room?” my father asked me. “It wasn’t Raphael. I think I got it from somebody in my class,” I told my parents. “Who?” I should have known my mother would ask. At that moment, my mind erased all my classmates’ names. “Chidi Obi,” I said finally, the first name that came to me. He sat in front of me and smelled like old clothes. “Do you have a headache?” my mother asked. My father brought me Panadol. My mother telephoned Dr. Igbokwe. My parents were brisk. They stood by my door, watching me drink a cup of Milo that my father had made. I drank quickly. I hoped that they would not drag an armchair into my room, as they did every time I was sick with malaria, when I would wake up with a bitter tongue to find one parent inches from me, silently reading a book, and I would will myself to get well quickly, to free them. Dr. Igbokwe arrived and shined a torch in my eyes. His cologne was strong; I could smell it long after he’d gone, a heady scent close to alcohol that I imagined would worsen nausea. After he left, my parents created a patient’s altar by my bed—on a table covered with cloth, they put a bottle of orange Lucozade, a blue tin of glucose, and freshly peeled oranges on a plastic tray. They did not bring the armchair, but one of them was home throughout the week that I had Apollo. They took turns putting in my eye drops, my father more clumsily than my mother, leaving sticky liquid running down my face. They did not know how well I could put in the drops myself. Each time they raised the bottle above my face, I remembered the look in Raphael’s eyes that first evening in his room, and I felt haunted by happiness. My parents closed the curtains and kept my room dark. I was sick of lying down. I wanted to see Raphael, but my mother had banned him from my room, as though he could somehow make my condition worse. I wished that he would come and see me. Surely he could pretend to be putting away a bedsheet, or bringing a bucket to the bathroom. Why didn’t he come? He had not even said sorry to me. I strained to hear his voice, but the kitchen was too far away and his voice, when he spoke to my mother, was too low. Once, after going to the toilet, I tried to sneak downstairs to the kitchen, but my father loomed at the bottom of the stairs. “I want water,” I said. Finally, my parents went out together. I had been sleeping, and woke up to sense the emptiness of the house. I hurried downstairs and to the kitchen. It, too, was empty. I wondered if Raphael was in the boys’ quarters; he was not supposed to go to his room during the day, but maybe he had, now that my parents were away. I went out to the open veranda. I heard Raphael’s voice before I saw him, standing near the tank, digging his foot into the sand, talking to Josephine, Professor Nwosu’s house help. Professor Nwosu sometimes sent eggs from his poultry, and never let my parents pay for them. Had Josephine brought eggs? She was tall and plump; now she had the air of someone who had already said goodbye but was lingering. With her, Raphael was different—the slouch in his back, the agitated foot. He was shy. She was talking to him with a kind of playful power, as though she could see through him to things that amused her. My reason blurred. He spoke as though I were a child, as though we had not sat together in his dim room. “I’m hungry! Where is my food?” It was the first thing that came to me, but in trying to be imperious I sounded shrill. Josephine’s face puckered, as though she were about to break into slow, long laughter. Raphael said something that I could not hear, but it had the sound of betrayal. My parents drove up just then, and suddenly Josephine and Raphael were roused. Josephine hurried out of the compound, and Raphael came toward me. His shirt was stained in the front, orangish, like palm oil from soup. Had my parents not come back, he would have stayed there mumbling by the tank; my presence had changed nothing. “What do you want to eat?” he asked. Why was he making it all so common and ordinary? I, too, had been asked not to go to his room, and yet I had gone, I had put in his eye drops every day. 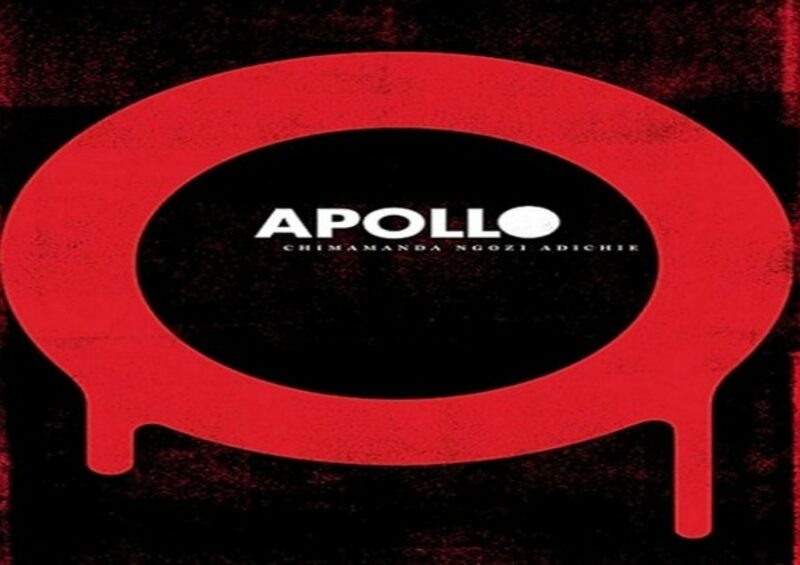 “After all, you gave me the Apollo,” I said. “Sorry.” He said it dully, his mind elsewhere. I could hear my mother’s voice. I was angry that they were back. My time with Raphael was shortened, and I felt the sensation of a widening crack. “Do you want plantain or yam?” Raphael asked, not to placate me but as if nothing serious had happened. My eyes were burning again. He came up the steps. I moved away from him, too quickly, to the edge of the veranda, and my rubber slippers shifted under me. Unbalanced, I fell. I landed on my hands and knees, startled by the force of my own weight, and I felt the tears coming before I could stop them. Stiff with humiliation, I did not move. Woa.. wished the story never ended.. now I have to come back to the realisation that am on cue for fuel b4 4am in Abj, one of the largest oil producers in the world. I saw nothing gay abt okenwa,he likes Raphel and was jealous, many kids,feels some kinds if attachments to their helps,cus of spending plenty times together and the bondness tht comes with been brothers in crime..oh I was a brother in crime to many of our house helps then.. I just felt, at age 12, okenwa character was given an adult mind, he too young to reason and process things,like he did, yah he could lie but not cus of jealousy, kids usually lie to protect themselves called self preservation.. its an awesome read,.. ofcourse wht to expect from chimamanda? You’ve definitely said it all… there’s nothing gay about Okenwa’s character. Children are prone to jealousy at every turn whenever they feel someone isn’t giving the usual attention they’ve come to expect from such a person. I always admire Chimamanda’s style of writing. 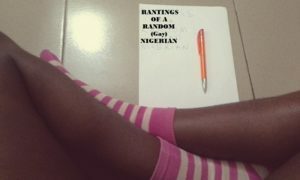 She’s simply Nigeria’s 2nd best contemporary writer. Don’t ask me about the 1st. Sorry, but you have to spill. I would die for her, and you’re saying there’s one above her? This is why CNA is my favourite write well ahead of Chinua Achebe (yes I said it). Its all in the details! I was transported to that flat, to the house boy’s room. It doesnt feel like i read a storu its like i just saw a movie. This woman is amazing and I had tracked down every thing she has written. I dont agree that the boy was gay, its very likely but not much information to support that. Talking about lucid description Chinua Achebe knew how to describe things in his book that you feel like you are there and the thing is happening infront of you. I think no one competes with him on that. Amanda Adichie is just after him on that. Then the third position goes to…….. I think chinua was too simplistic and not vivid enough. He is the master ofcourse but CNA takes you right into the plot. Don’t let Amadioha fire you o. Chinua was simplistic??? I learnt more about the Igbo from him and Elechi Amadi than any living Igbo person put together. Dennis, the guy was just wonderful. And really, his books vividly described a simple life so don’t fault its simplicity. @PP there is nothing gay about the character, he wasn’t attended to when he needed it that was his reasons for lying. He is a spoilt brat to my own view. A well crafted story. The agonies of house helps. Two patients that suffered same ailment but 2 drastic treatments. While received love and company the other isolation and insensitivity. One was given opportunities to improve the other had no chance at good education and ended up as an armed robber. People like Okenwa,s parents fill church pews. Lifts “holy”hands during church services and hopes for eternal bliss in heaven. Well, thank God for grace. Maybe, I’m deviating but this story reminds me of the high handedness of the wealthy. Makes me wonder how many armed robbers,thugs and social misfits we have created by our actions and inactions. Exactly! When I read this piece, the first thing that came to my mind was, here’s a depiction of how the little things we do can cause ripples to affect the future. Who knows, if Okenwa hadn’t told that lie, Raphael may not have ended up how he did. Hahahahahahahaa. The blue moon does peek out every now and then. There’s no such word as the gaybourhood.. Why don’t don’t we just say the community of gay people? Because its ‘community of gay people’. A mouthful. Gaybourhood became a necessary slang. But I don’t see the necessity of using one word to replace one word. James, please don’t try to rationalize wrongful usage of English words. New words don’t fall out of the sky. They are created out of necessity. “Ain’t” is now a formal word (or at least colloquialism). I do not like the sound of “gayism”, but that doesn’t make it any lesser than other slangs. It’s left for the public to make it a word, keep it a slang…or make it a used condom. I could read Chimamanda’s piece all day. She’s an icon and my favorite writer. That piece was so vivid and felt like I was watching a movie. I didn’t even notice how long it was till I finished reading. The character described above is a lonely kid with no friends. With well educated parents who always made him feel like he’s not on par with them. Many parents are like this. He found a friend in a houseboy because he could easily identify with him. Children often form attachment with helps/care givers, and is one of the primary characteristics of a growing child. Children lie a lot too, a whole lot, even more than some adults, so its not surprising that the character turned on the help because he felt neglected my him, perhaps it was done out of compulsion and quick anger which is very understandable. The character isn’t gay. There’s just not enough evidence to support that. Many straight folks fit into the same category as the character. An innocent gay-free child wouldnt notice how short Raphael’s brief was. You all fail to understand if Raphael had stayed longer and Okenwa turns like 16 he (Okenwa) would equally like to imagine what was under that brief and if he could touch it. And that jealousy would be more. Getting a Lil too hopeful, are we? Children are good at observing and learning. So its perfectly normal to notice subtle things about a person. Its when we grow that we stop paying attention to details, cos most of the time we’re caught up worrying about one thing or the other. Lol. U did bad Okenwa, but the feeling of jealousy and betrayal can be so intense u lose ur senses. Anyhoo, d tin abt Kung fu i totally get. That same passion made me learn real Karate. And that’s why i wont hesitate to get the book (that is if i can) lol. I think the character is gay. It isn’t glaring but the hints are dropped all through the article. For example he gets tense when asked about bringing home a girl and grandchildren. That indicates some distress or personal conflict with the notion. Added to this is the fact that his parents’ friends have cchildren who are married and have kids, children who can safely be assumed to be his age mates. He feels the need to make amends for this apparent failure by visiting his parents regularly. If you’ve ever read romance novels you’d recognise these kinds of statement as the harbingers of love. Added to the closeness that developed out of friendship and the act of love that involved defying his parents to go to Raphael’s room, the picture is quite clear. Okenwa’s wrath was ignited not by the fact that Raphael hadn’t come to see him but because he had been talking with Josephine. I believe that’s why the Josephine character was introduced to the story. He basically acted like a jilted lover. He had defied his parents in visiting Raphael but the gesture was not reciprocated. There’s a reason he remembered Raphael with such detail, the looks, the gestures and all. Emotions help to imprint certain memories better than others and Okenwa definitely had strong feelings for Raphael that was not just about nunchaku. Good points. But I do remember my childhood vividly and people in it. Especially girls, girls I’m not attracted to. I notice the little things about them that people might fail to notice, like their soggy withered hair and their hariline with silky strands of hair. Their dreamy eyes which was always filled with traces of innocence, I noticed all those things. It could be argued that Okenwa was an inquisitive and observant child, that’s why he noticed those little details about Raphael and remembered him vividly. Or maybe because happy memories linger on in peoples mind, forever in a state of suspended animation, waiting to be tapped. We can’t really say we know what miss Adichie meant about the character, but the fact that she made the character mysterious and interesting, is interesting on its own. Was I the only one who noticed that the title-Apollo is very symbolic (Greek Mythology anyone?!). 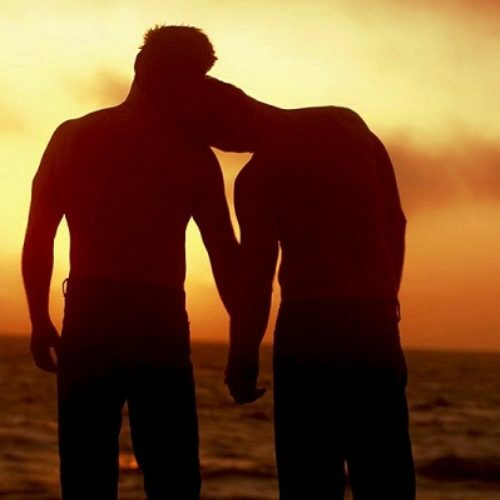 I concur with what McGray and Dimkpa said…..it takes only a queer child to notice in graphic details every contour on a male physique and feel such surging sensual emotions toward caregivers and probably family members……..well much was left out by the writer which i’m guessing she wants her readers to fill in. (delibrately i presume). Chimandichy! You truely are blessed by Apollo Musegetes. This is very nice. Anything written by CNA is good. I kinda wished it was longer, but despite the brevity of it, it still captured everything. I wish I am half as good as she is. The brevity of it? LMAO! Lol. Nothing. Its just, I remembered someone else who read it complaining about how long it was. Well, he did push him technically. He pushed him into braving a headache, coming down the stairs, having his lil heart broken and falling off the stairs. Bad Raphael. Pinky and James should get a room already. Okenwa is the topic here. That said, i could see mainly adoration from okenwa as a young boy. He grew to love someone who shared so many things with him unlike his parents and his love may have been misdirected. He got jealous and lashed out. How many of us cannot relate to that? I am guessing that is why some people feel that he may be gay other than some subtle hints in the writing. But like some one else pointed out children are very possessive of stuff they hold dear. It was sooooo…. “chimamanda”. Love it. Love it. Dennis, yes I was literally in that compound, I pictured it like those professor’s flats, guarded with metallic mesh fences, yes I could totally relate with every scene, chimamanda the goddess of penned words! At first, I thought Okenwa had to be gay. The ‘Grasping’ of hands in Rapahel’s room confirmed my doubts. But as I read on, I realized that what happened between him and Raphael was an emotional attachment to someone who shares the same love for something. But the, if Raphael had not been sent away, then I think Okenwa would have fallen in love with him-one thing would have surely led to another. I miss everyone here. But now I’m back from my phone-forced leave lol. Like it or not, Adichie was verily dropping gay innuendos of and upon the character ; Okenwa.